Hamaryku Park in Meiji Jingu Mei. 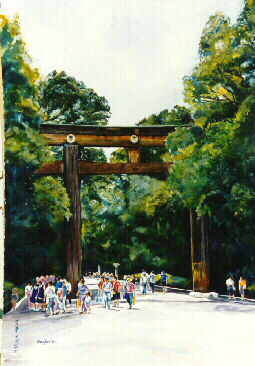 In the park is the largest standing Tori Gate in Tokyo, Japan. The two supports and the Cross beam are each made from 1 tree.